Much like other animals, ferrets can suffer from heat stroke. Learn to recognize the signs of overheating and how to help your ferret. 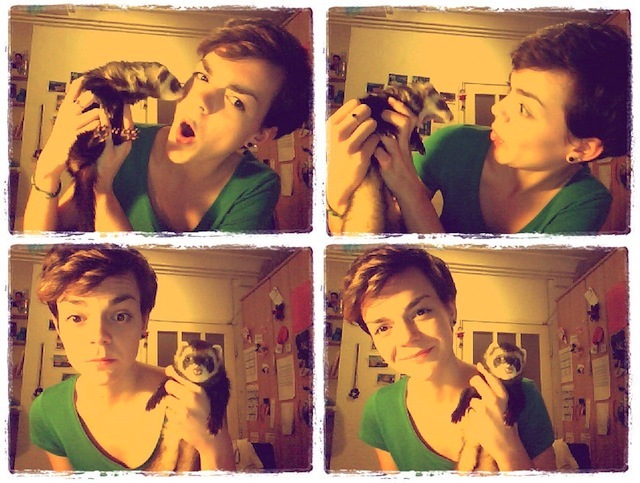 That’s me, Anja, and my little one, Frida. It is mid-summer, and the temperatures are still high. Maybe you’re fine, but how is your ferret handling the heat? Fact: Your ferret’s health is at risk when the temps around the cage are higher than 80 degrees Fahrenheit (27 degrees Celsius). Just imagine how hot it is at those temperatures when you have a furry coat all over your body. The main reason ferrets are so sensitive to heat is the way their bodies work. They don’t sweat, not even a little, so they can’t lower their body temperature like dogs do through panting. They need you to help them cool down and make them healthy and cool during the hot months. So, how do you cool down a ferret? The best solution is water. As you probably know, your ferret must have fresh, cool water for drinking. As our parents said to us: Drink lots of water when it’s hot! Now, you can’t force a ferret to drink, but fresh water needs to be available at all times. Another quick and simple solution is to freeze plastic bottles with water and place them in the cage, around your home and wherever your ferret likes to sleep or just hang out. It will cool not only your ferret but your room as well. Wrap them in fabric so your ferret can’t chew through them. Of course you can use air conditioning if you have it, but be careful about the direction in which the A/C is blowing. The best position is near the cage, placed diagonally so it doesn’t blow directly into the cage. A heat stroke isn’t something to joke about; ferrets have died from this condition. But how can you prevent something if you don’t know how it looks? Heat stroke in ferrets isn’t difficult to recognize because a ferret that is extremely hot will be lethargic and won’t move or is very slow to move. You probably know that all ferrets are energetic little furballs, so if your ferret looks tired and sleepy (more so than usual) during hot weather, take that as a warning sign. Take a cool (not cold) wet towel and slowly wipe your ferret with it. Get every part of the body: head, paws, tail, legs everything. Do that for a few minutes; it will gradually lower your ferret’s temperature. If that doesn’t help, there is another possible way to cool your ferret — but if the ferret isn’t a fan of water, the ferret won’t like it. Pour COOL or tepid water into a tub — NOT cold water, which can be a shock to them (and dangerously worsen the situation) because of the temperature difference between ferret’s body and the water. Very slowly place your ferret in the tub, legs first, and cool him with the somewhat cool or tepid water. Use a cup to pour water on your pet, starting from the tail. Some ferrets don’t like bathing, so talk to your ferret to calm him down. Remember that your ferret is ill, so words of encouragement and your calm voice can help your pet to recover faster. Seek veterinary treatment as soon as possible. You could even be in the car wiping down your ferret with a cool wet towel while a friend drives you to the vet. According to Ruth Heller, DVM, of Borderbrook Animal Hospital in Murrysville, Pa., ferrets that appear normal after a heat stroke can still develop potentially deadly problems days later. Anja Delic wrote this featured contribution. 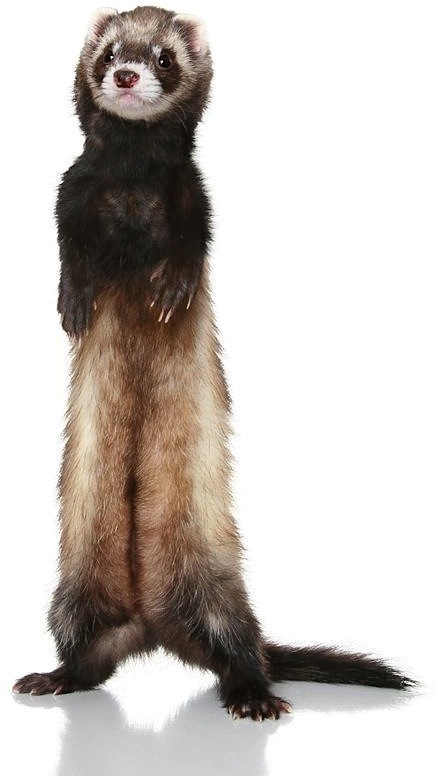 Anja loves ferrets and wants to show others how they are great animals and perfect pets. She has a blog, Friendly Ferret, where she writes about her little ferret Frida and ferrets in general. Anja is sharing her knowledge, including interesting tricks to help you and your ferret in different situations.